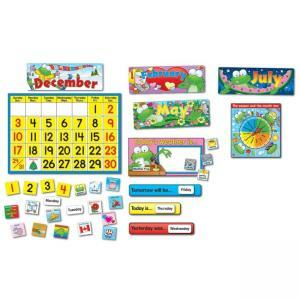 Frog Calendar Set offers a colorful and versatile way to create daily calendar learning. Children will learn about time, days of the week, holidays, and much more. 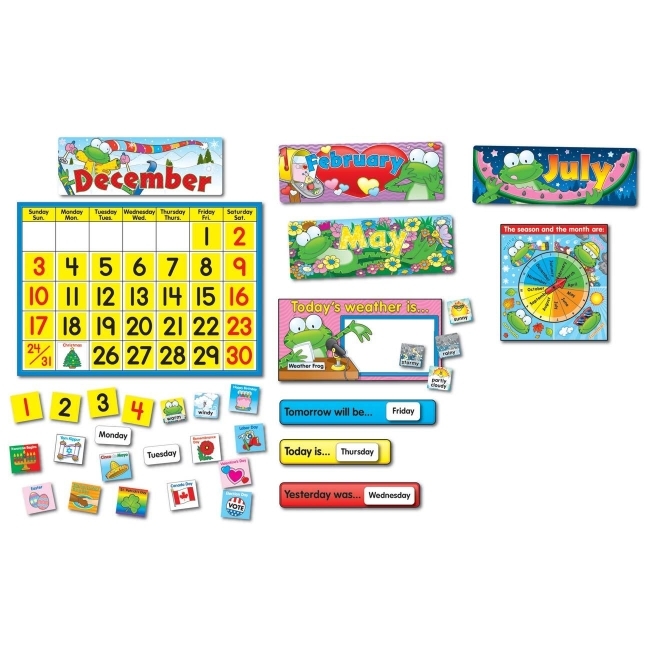 Includes two sets of calendar numbers (red and black), 12 calendar headers, a weather chart, 12 weather cards, seven day-of-the-week cards, 43 holiday calendar cover-ups, a frog topper and a resource guide. Designed for prekindergarten to third grade. Secure pieces to calendar with adhesive (sold separately).